John, even Hosseini's memoirs have a touch of this in them...can't remember the title, but take a look at the one he wrote about a friend of his from his internship days in medical school. The man is a brilliant writer. Alas, you're not the last, I am. I watched the movie - a fatal flaw to reading a book sometimes! 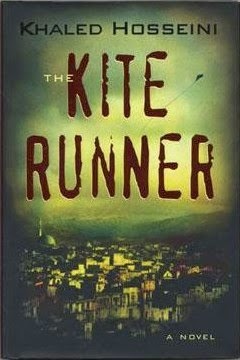 I loved A Thousand Splendid Suns and I own The Kite Runner, I just haven't made time to read it. I'm not sure why not. Good review. Sam: I believe you. I now look forward to reading more of his work, for sure. Becca: I was so out of the loop, it wasn't until I sat at the laptop to write this post that I even learned it had been adapted into a movie!